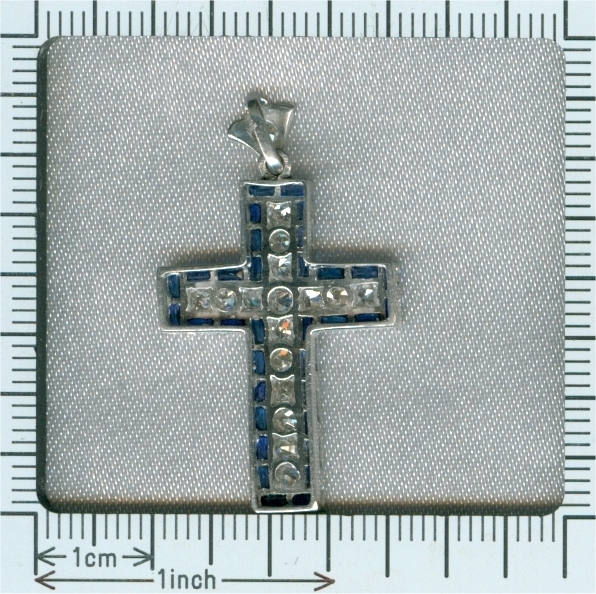 Art Deco platinum diamond cross with sapphires: Description by Adin Antique Jewelry. 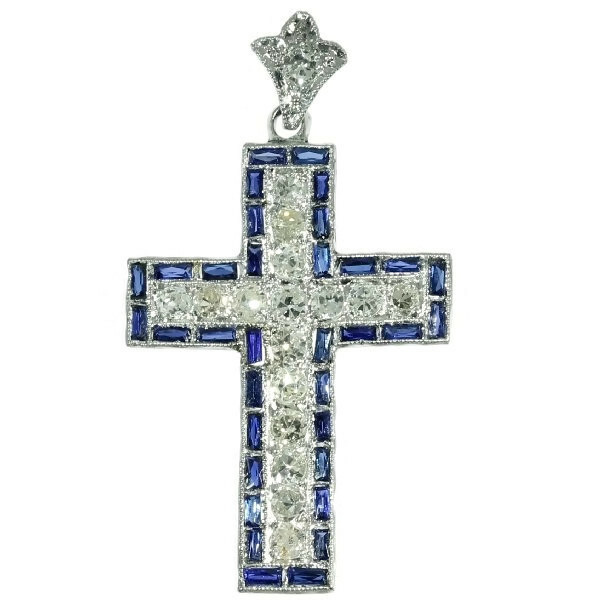 Art Deco platinum cross pendant with 17 single brilliant cut diamonds in millegrain setting and a border consisting of 32 baguette cut sapphires, suspended from a fleur-de-lis shaped surmount. Theme: Cross - The word cross was introduced to English in the 10th century as the term for the instrument of the torturous execution of Jesus (gradually replacing the earlier word rood), ultimately from Latin crux, via Old Irish cros. The word can nowadays refer to the geometrical shape unrelated to its Christian significance. The Latin Crux (translating Greek stauros) was a Roman torture device used for crucifixion. Diamonds: 17 old cut single brilliant cut diamonds (also called 8/8) with a total estimated weight of approx. 0.85 crt. Total diamond weight: approx. 0.85 crt. Precious stones: 34 baguette cut sapphires . We did not check if the sapphires are lab produced or not as this information has no influence on the value of this jewel. 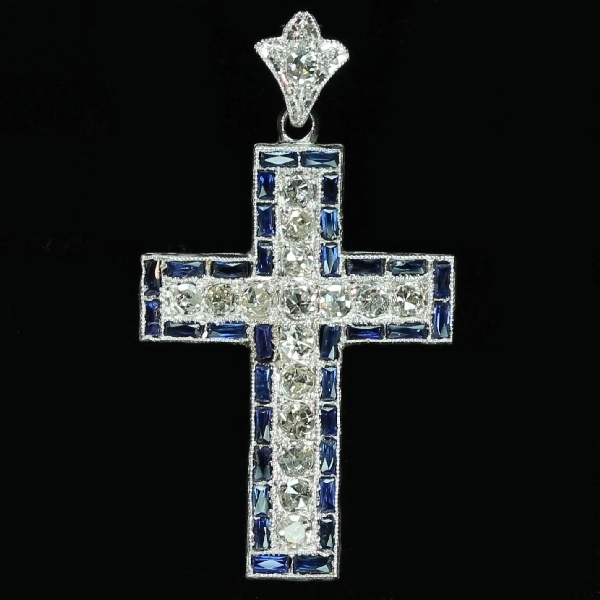 Natural sapphires and lab produced sapphires were both used in this era, rather more for their effect than for their intrinsic value.